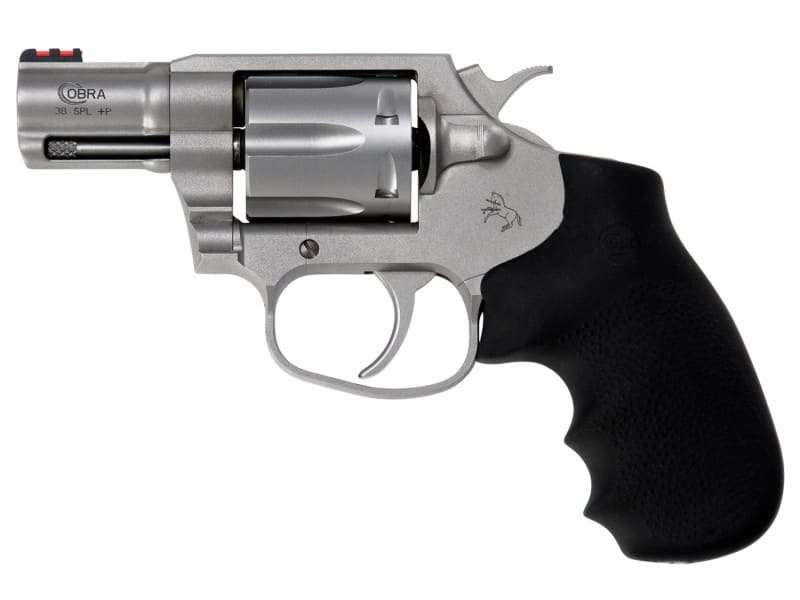 The Colt Double Action Revolver returns with a robust stainless-steel frame and a linear leaf mainspring design that ensures consistently smooth trigger pull. Enhanced grip and trigger ergonomics create a naturally pointing revolver that is compatible with a maximum range of hand sizes and still allows the use of gloves. 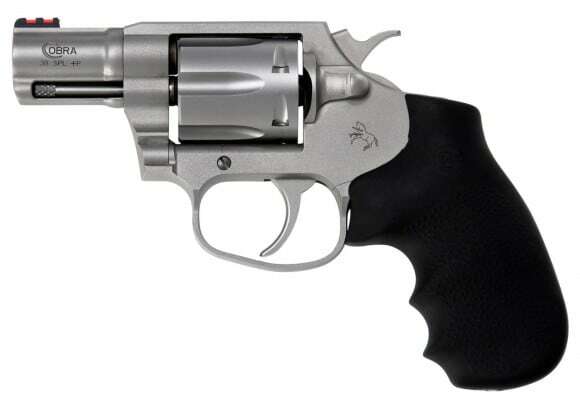 Cobra Double Action .38 Special +P 2.1 Inch Barrel Matte Stainless Steel Finish Fiber Optic Front Sight Hogue Grip 6 Round Double action revolver with six shot capacity and fluted cylinder. Fiber optic front sight and frame Trench rear sight. Hogue overmolded black grip. Matte stainless steel finish. LL2 Linear Leaf mainspring design. +P rated. Enhanced trigger. Colt's Legendary Double-Action Revolvers Return The Colt Cobra marks Colt's triumphant return to the world of double-action revolvers. Its small frame and 2" barrel make it ideal for concealed carry. The Cobra features all-steel construction, as well as a rubber wrapped grip that's been moved rearward to help manage recoil. 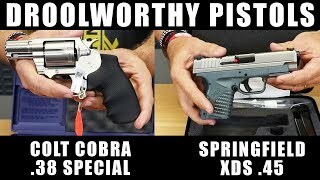 The Cobra is chambered in .38 Special and is +P capable. This firearm was designed to meet the needs of new shooters and seasoned professionals alike. It's easy and enjoyable to shoot, easy to carry, and draws from the fine lineage that make Colt revolvers special. PRODUCT FEATURES: The Colt Double Action Revolver returns for 2017. 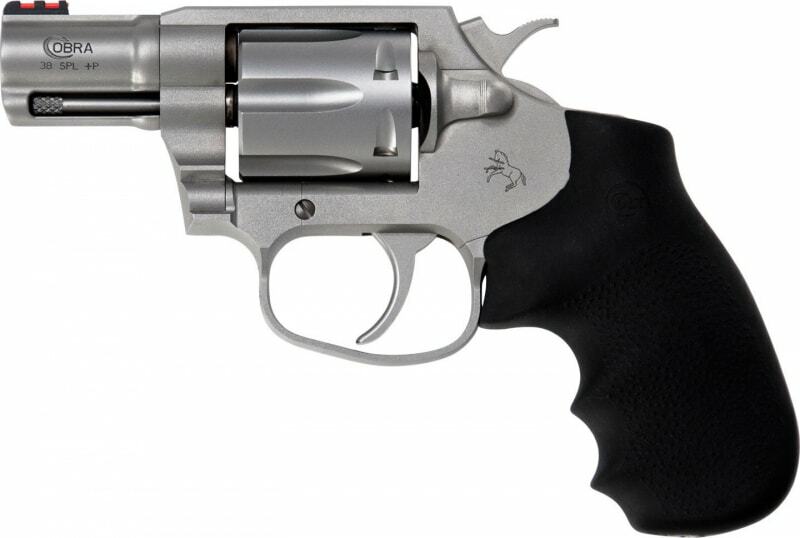 Robust Stainless-Steel Frame is as comfortable on the range as it is in a holster. New LL2 (Linear Leaf) Mainspring design ensures consistently smooth trigger pull. Enhanced Grip and Trigger Ergonomics create a naturally pointing revolver that is compatible with a maximum range of hand sizes and still allows the use of gloves.